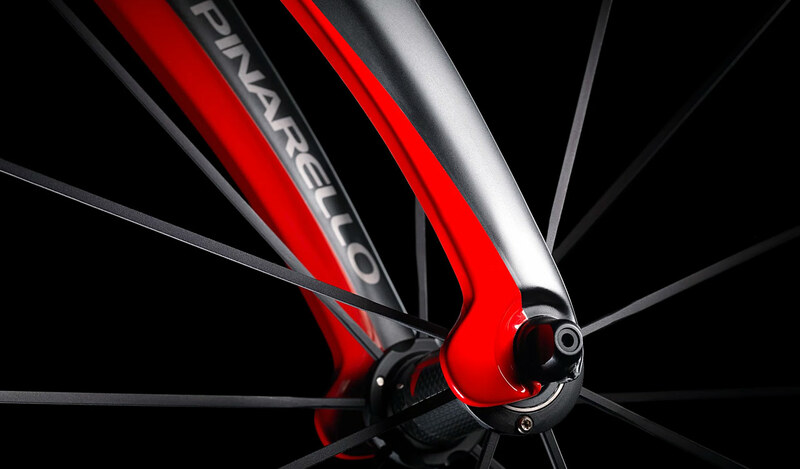 The Pinarello Bolide time trial bike served much fodder to the F10's engineers – with details like the "fork flap" – the result being a bike with up to a whopping 12.6% reduction in drag (depending on drag location on the bike). 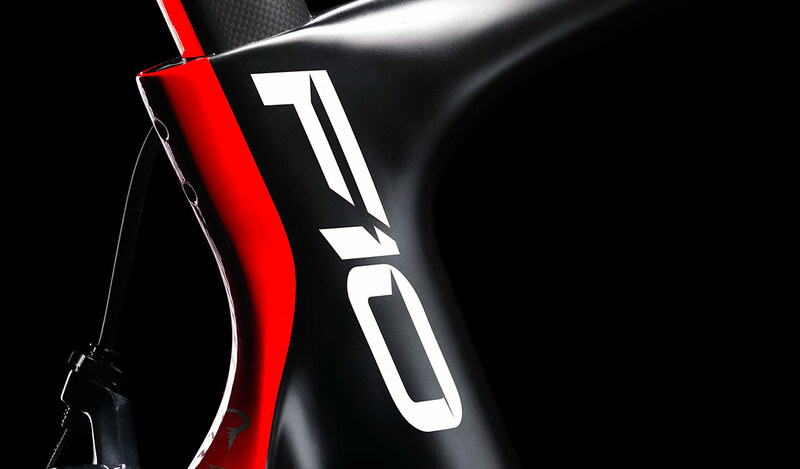 As with the F8, further study of frame asymmetry was explored, then employed, in developing the F10. 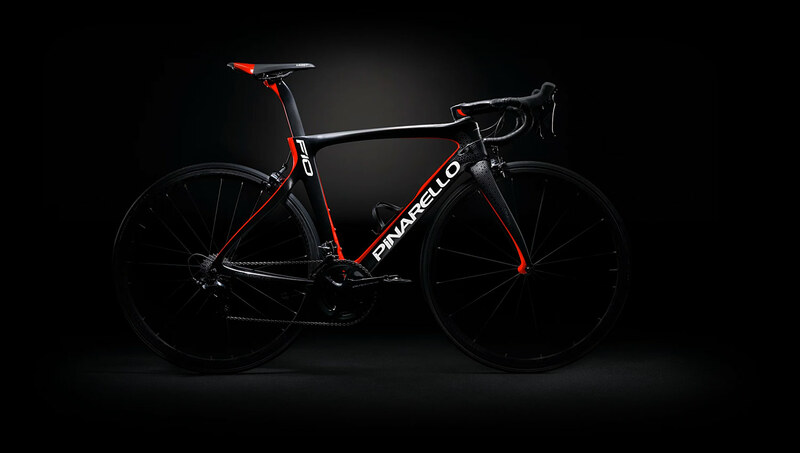 By shifting certain structural loads to the right side of the frame, where the drivetrain is – such as a slightly right-offset seatube material and an asymmetrical bottom bracket – the F10's structural stiffness is up 7% over the remarkable F8. 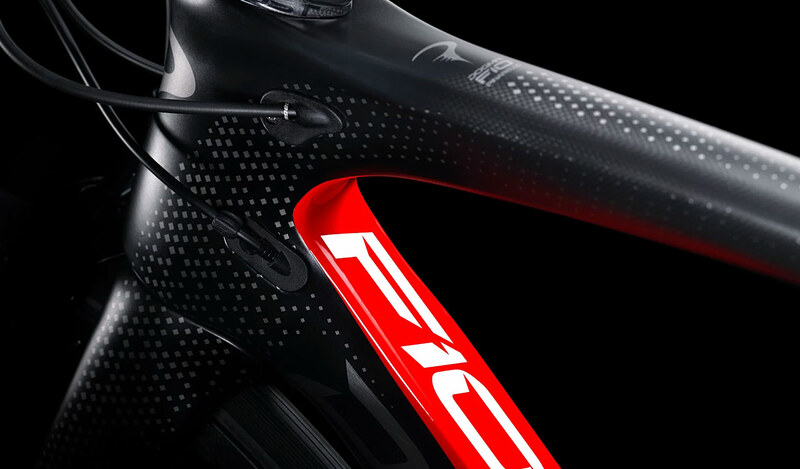 The F10's structural enhancements meant that excess material could be trimmed from various areas of the frame without sacrificing strength or stiffness. Already a relatively light machine, the F10's notable weight reduction of 6.3% compared to a like-sized F8 puts it into a elite category of rarefied performance without compromise. 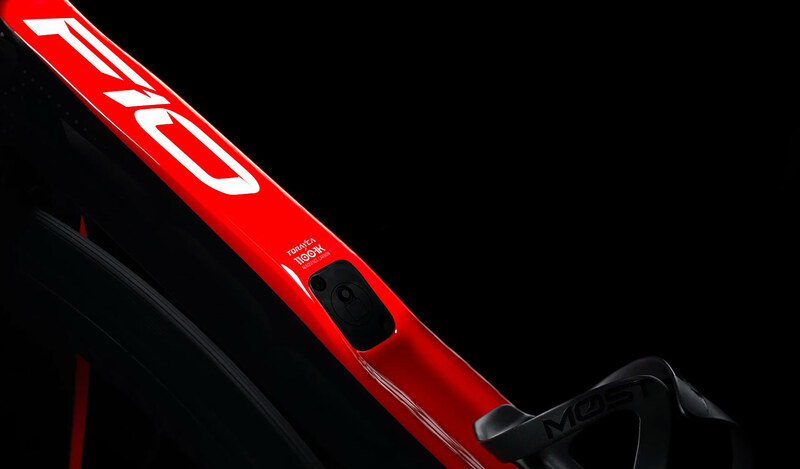 The F10 is virtually future-proof, with internal, integrated, and elegant routing for essentially any drivetrain on the market – and any drivetrain that may come along – including hydraulic, mechanical, electronic, wireless, or 1x systems.